In fact, the Lift-Bit, is the “world’s first Internet-of-Things sofa.” First unveiled at this year’s Milan Design Week, the sofa was created by international design and innovation firm Carlo Ratti Associati with help from Vitra. 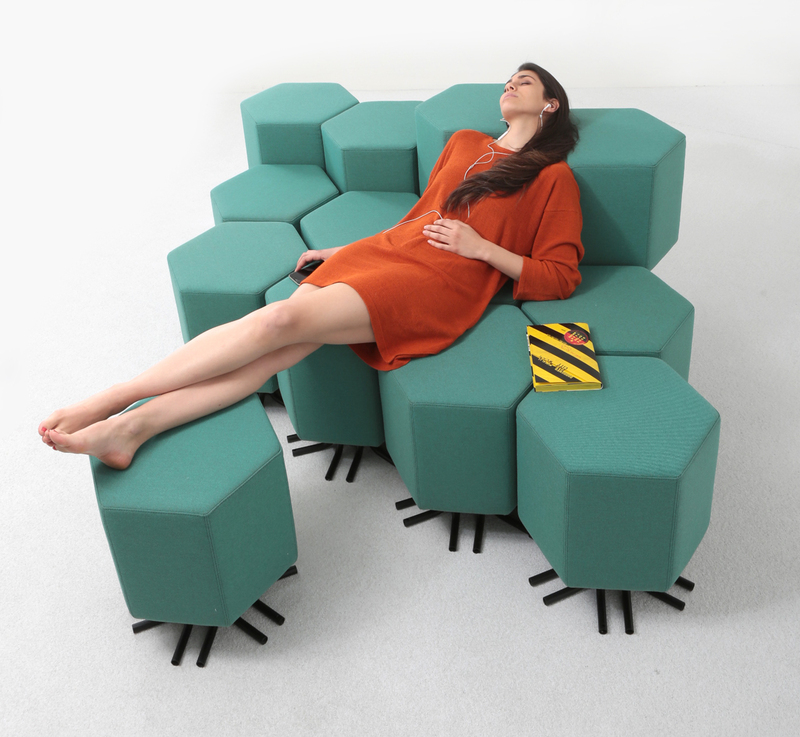 The Lift-Bit is a modular furniture system that transform from sofa, to chair, to bed, to chaise lounge… to whatever else your creativity dreams up. It consists of a cluster of bright green, upholstered stools which are motorized using a linear actuator. This means that the cushions on the stool can be raised or lowered. Furthermore, it can be controlled through gestures, or of course, a mobile app. The Lift-Bit system is also good at keeping itself entertained. When “bored”, it will start shapeshifting into different configurations to keep users on their toes.